Golf kind of gets the short shrift at Uni Watch, but that’s understandible — it’s not (technically) a team sport, unless we’re talking about Ryder Cup or Presidents Cup teams, or some of the various college golf teams, so there’s not much “uniform” about it — more just individual outfits and athletes in sometimes unflattering attire. Golf equipment, understandibly, gets even less play, as it should. But every so often, golf equipment, and the science of the sport, merits an investigation. Today is one of those days. If you’re a golfer, you’ve undoubtedly heard about the recent controversy involving Phil Mickelson (and others) who’ve been flouting the rules of golf by using a specific brand of club which has technically (and until recently, not actually) been banned by the USGA/PGA and R&A. Yeah, but “It’s golf, Phil — do I care, or more specifically, what’s the big deal?” you may ask. Well, if you’re a duffer like me, it’s no big deal. But when you’re a tour pro, it’s a very big deal. 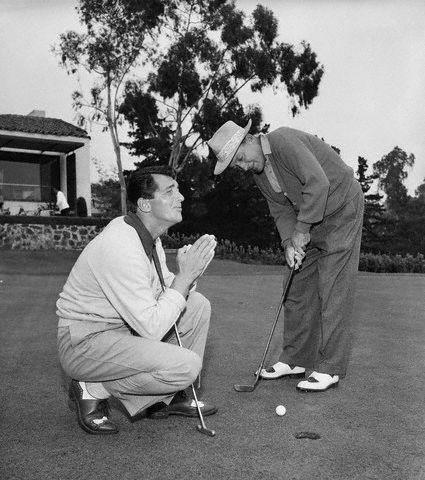 So, I’ve asked Uni Watch’s resident golf pro, Johnny Okray to take a look at the controversy, since I’m neither fluent in golf nor particularly adept at science. But it really is a big deal, and it may have far more of an effect on the way professional golf is played for some time to come. Many people who follow golf, or follow it casually, have heard about the new changes to the grooves on irons. Many people have heard the controversy caused by Phil Mickelson who, along with other players, has found a loophole in the rule that allows them to use an older model club with different cut grooves, or “U-grooves”. These clubs are the Ping Eye 2 irons. Although it might not seem like an advantage, the spin rate created by U-groove wedges and V-groove wedges is vastly different. A side-by-side comparison shows the differences. In some laboratory testing, the U-grooves actually create more spin by coming out of the rough than from the fairway. This might give a player who hits the ball in the rough, more of an advantage to control the ball than if they hit it in the fairway. The USGA did testing on grooves back in 2006 (and released in 2007) when this controversy really heated up. In its testing, the USGA evaluated grooveless irons, as well as clubs with traditional V-grooves and U-grooves at the current USGA limits. 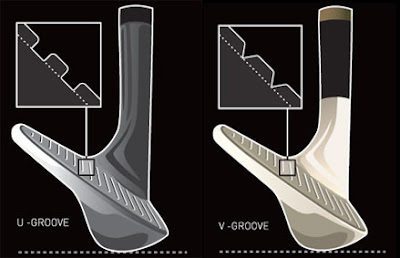 Out of the rough, the report states, “the V-groove is only a modest improvement over no grooves at all, whereas the U-groove offers a substantial improvement over both the grooveless and the V-groove clubs.” Golf Digest did its own testing right around the same time. Utilizing the swing robot at Golf Laboratories, Titleist Pro V1 balls and a pair of wedges made by Wilson Golf Technology to exacting specifications with their only difference being the type of groove, their test involved a full-wedge shot, a half-wedge and a chip, as well as a full-wedge from simulated rough. In the non-rough conditions, the differences in spin generation between the V-groove and the U-groove were what might be termed inconsequential (less than 10 percent). However, it was in simulated rough that the numbers jumped. A U-groove shot spun nearly 61 percent more than a V-groove shot. Whoh nelly! It’s no wonder that the pros would want to use the older wedges with the U-groove technology. So why in the world did Ping get grandfathered in the first place? 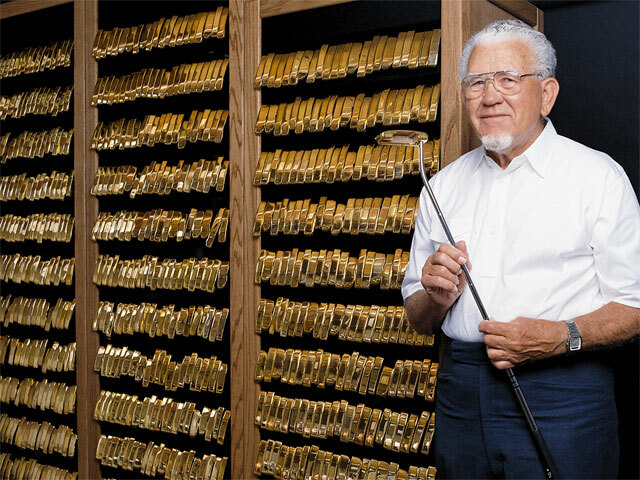 Well, it goes back all the way to the 1985 when Ping’s club designer Karsten Solheim designed the Ping Eye 2 irons and wedges by curving the edges in an effort to reduce the tendency of U-shape grooves to scuff the ball. In mid 1987, the USGA banned Ping’s Eye 2 clubs, giving the reason its radius-edged grooves are believed to be too closely spaced together. Fast forward two decades later, the ban on U-grooves actually happens to the demise of many players because the lack of spin. 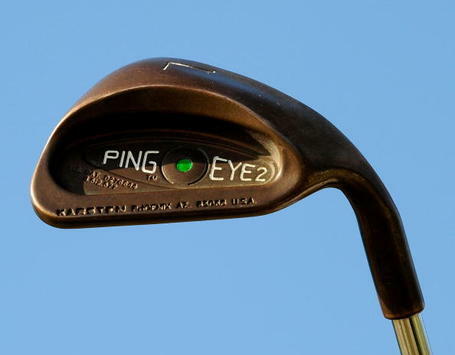 But, with the clause to grandfather the Ping Eye 2 irons in, any player who wanted to use them could. Most notably John Daly, Hunter Mahan, Dean Martin, er Dean WILSON, Mickelson, and Freddy Couples have used the Ping Eye 2 irons in the past few months. Is it “cheating?” No, because there is that clause. But is it a little dicey? Sure it is. But it was still considered legal. Fast forward again to March 8th of this year, and Ping and the PGA Tour agree to ban the Ping Eye 2 irons for good at the end of March, 2010. Ping representatives said that they predicted this controversy a long time ago, but is happy with this ruling because it will “level the playing field”. Now you may ask, “How will this groove ruling affect me?” Well, it won’t go into effect until 2024 for everybody. So when you and your buddies tee it up this summer, you can use almost any club you want as long as it doesn’t appear on this list. And here is a nice diagram of conforming and non-conforming grooves. Think this is a hot club? Here’s an eBay auction for a 1990 Ping Eye 2. Great job with that Johnny! As you can now plainly see, 99.99% of the hack golfers in the world can still shoot in the high 90s and get to keep our ‘non-conforming’ u-groove wedges. But for the guys who earn their living doing this sort of thing, there is now a price to be paid for those who can bomb it off the tee, but who also can’t drive straight. 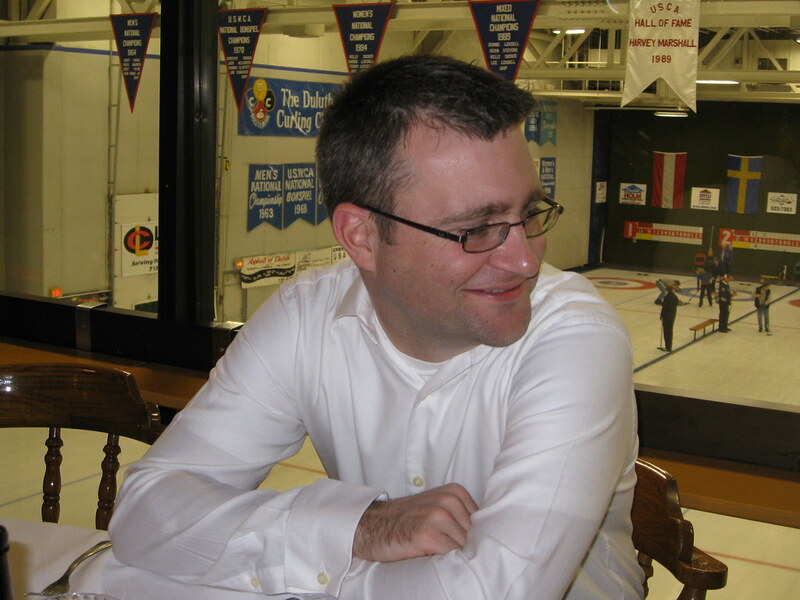 Meet Lead Lukas: Live (sorta) from Duluth, that’s Uni Watch Prexy Paul Lukas, who as of Saturday morning, finds his rink sitting at 2-0 and in the “A Bracket” quarterfinals, after a successful first day of curling at the House of Hearts Bonspiel. Good show, buddy. 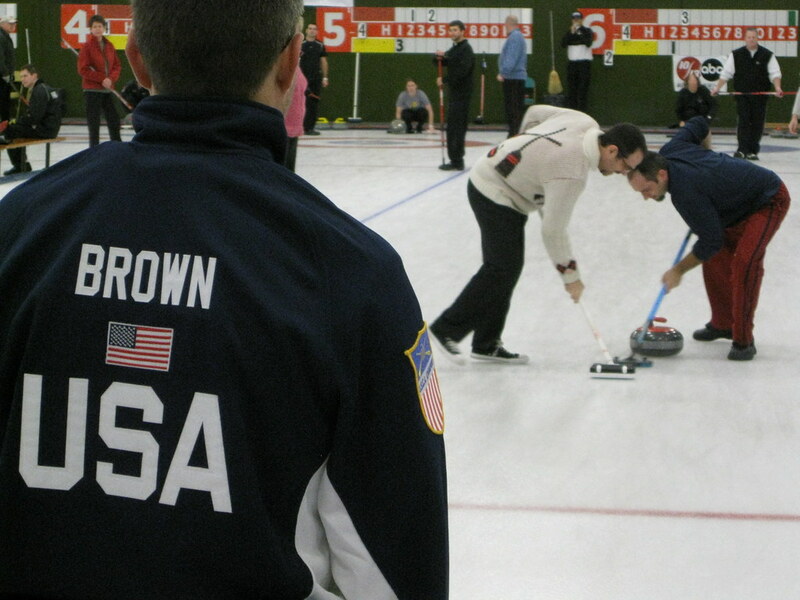 Of course, we know he owes it all to his world-class team, lead by skip Craig Brown (a multi-time national champion), who obviously sought to intimidate the opposition by flaunting his gorgeous Team USA jacket. 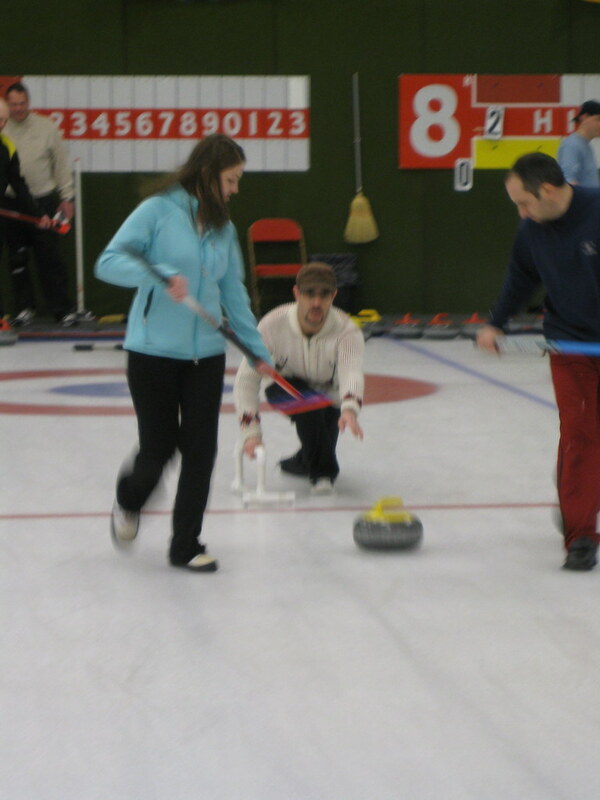 Paul was joined by Matt Cartier (second) and Becca Jensen (vice), who ably swept for Paul’s perfectly placed guards. 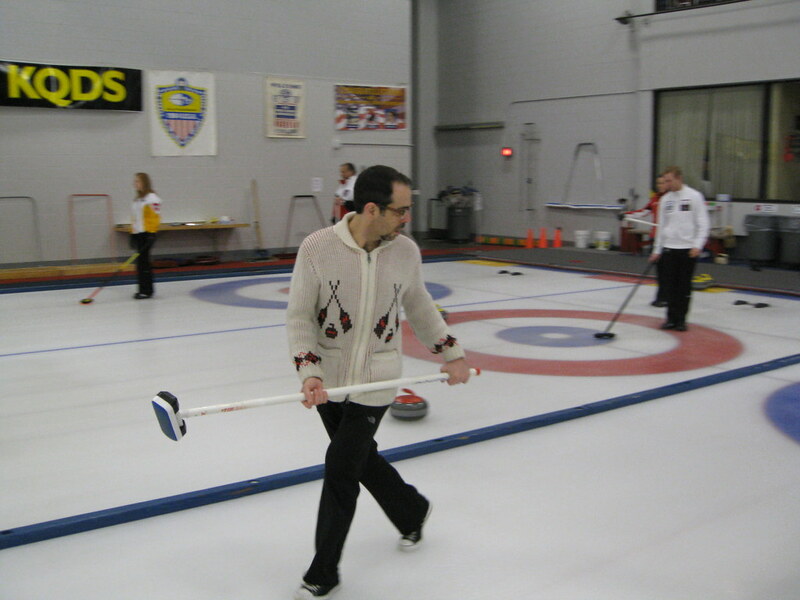 And although he beautifully set the tone for the match with his precision and placement, Paul proved equally adept in his sweeping duties (do those pants say “The North Face”?). Looks like he’s been doing it all his life, no? 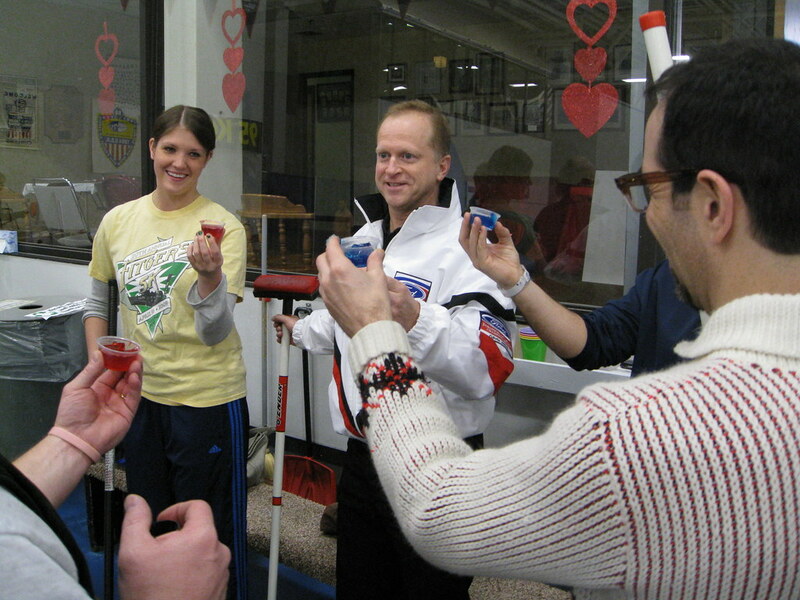 I didn’t catch the name of the vanquished skip (seen here in white), doing the obligatory jello shots, but the beautiful lady in the yellow tee is Jen Holtan, who split time with Becca on Paul’s rink. I’m sure Paul will have plenty more photos and stories upon his return to New York, but there was one skip on the sheet next to him wearing a gorgeous cardigan. Recognize him? How about now? 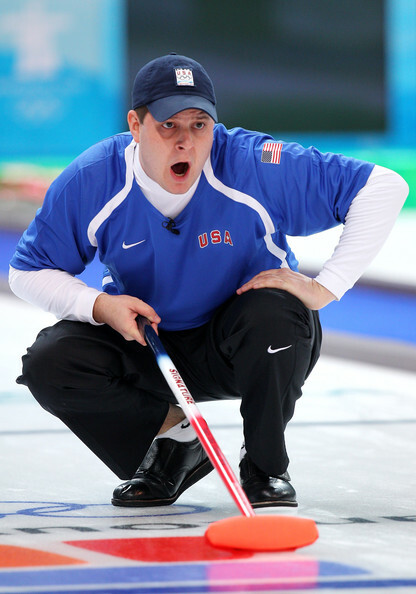 Yep, that’s Skip John Shuster, who you might remember for his performance in the Vancouver Olympics. Perfect start to a perfect day. 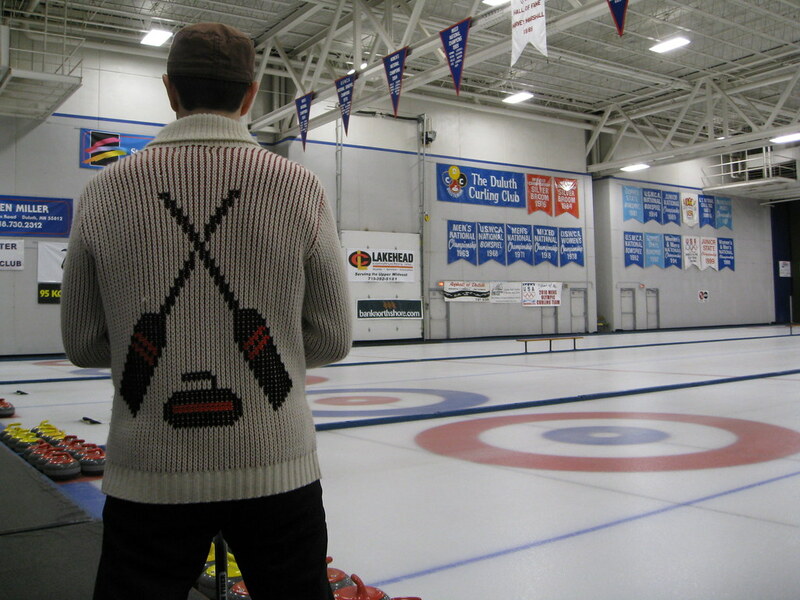 And, is this a great sweater, or what? Good luck today Mr. Lukas. 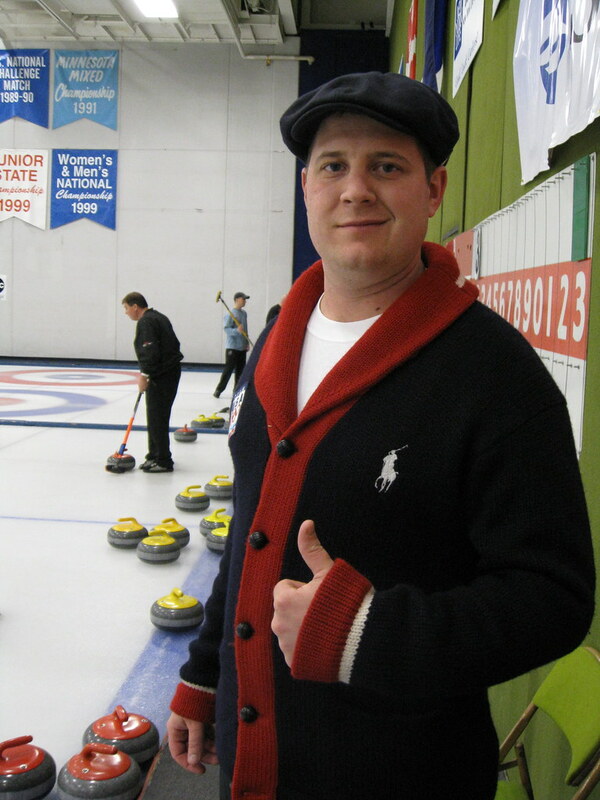 (For anyone making the trek to the Duluth Curling Club, Paul’s first match is the Quarterfinals, taking place at 12:45 pm.) Make us all proud! 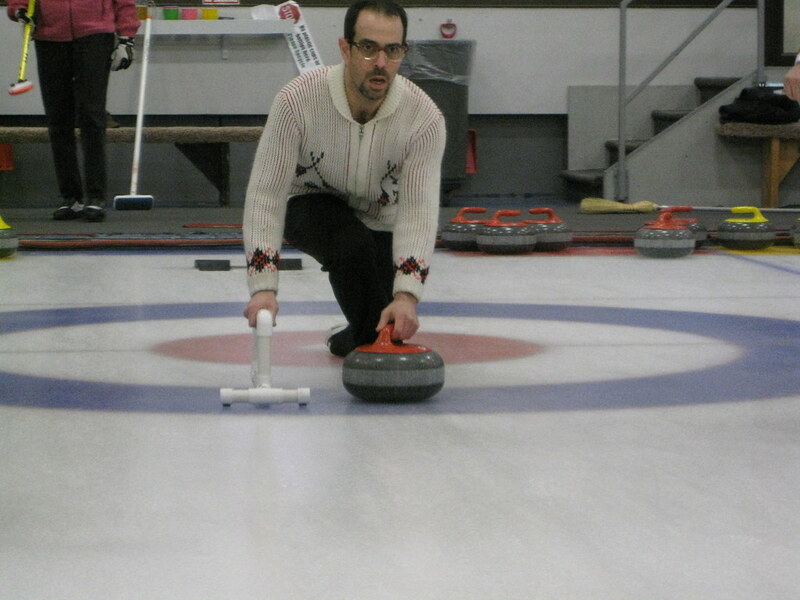 Late update: As fate would have it, who should Paul’s rink draw in the QF’s? You Got It. If you’re bored with all that college basketball stuff that’s happening today, you might want to check out the “other” Olympics that are happening in Vancouver, BC. The 2010 Paralympic Games are nearly over, and there have been some great stories. The one sport that I’ve admittedly been glued to is sledge hockey. I know that’s hard to believe, but the men that play this game are amazing athletes, and this sport really deserves to be seen by more people. It’s physical, it’s fast, and the players have incredible skill! 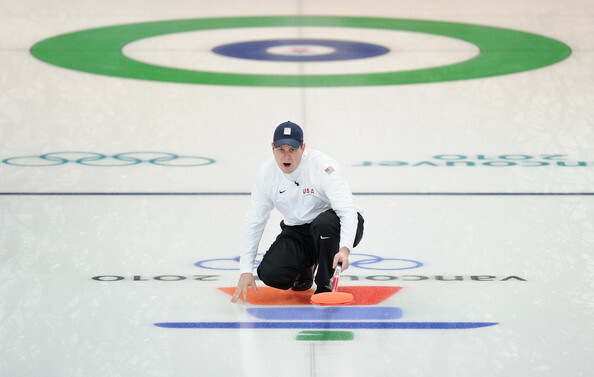 Just in case you may have missed it, Team USA is playing in the gold medal final against Team Japan at 3PM ET. 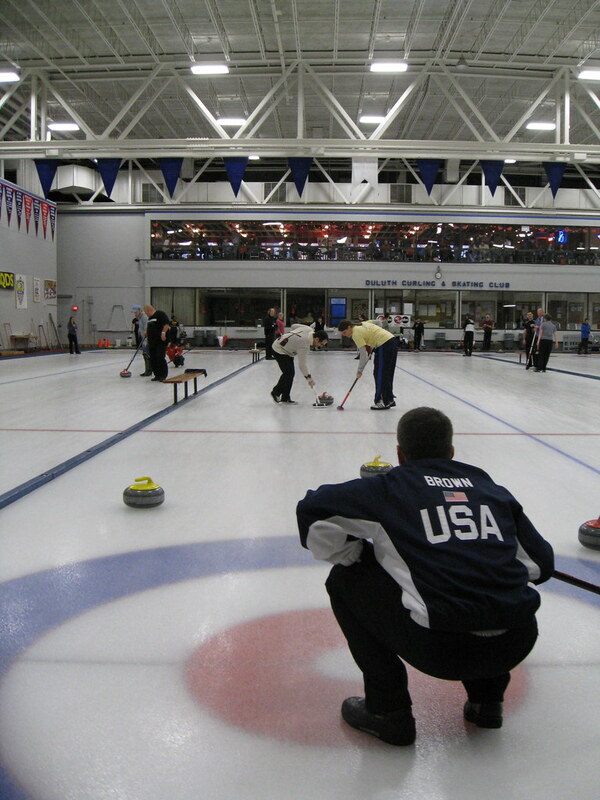 Team USA is the reigning World Champion, and are the heavy favorites in the gold medal game. Alexi Salamone is the leading scorer for the Americans thus far, collecting three goals and four assists over four games. 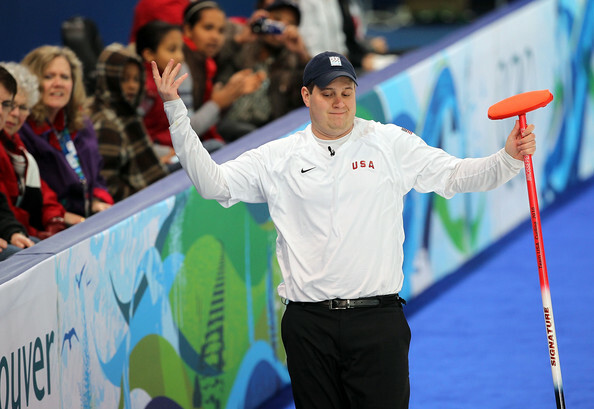 Showing how dominant they are in their own zone, Team USA has yet to surrender a goal in the Paralympic Games, and look to continue that trend against Japan today. If you’d like to watch the gold medal game, you can watch the game online here for free! Nothing better than watching a great hockey game for free, and seeing the gold medals awarded to the victor! Check out the sledge hockey action today! Boston Red Sox: In short, I think they get the undersleeves (and honestly, their socks) completely wrong. Just because they’re the Red SOX doesn’t mean all their trim has to be red, too. The cap is navy, and having solid red sleeves and socks throws the balance completely off. Especially at home. Regarding the socks, there is a reason Boston used to wear those awesome striped stirrups with the navy at the top — it balanced out the top half of the uniform perfectly while remaining dominantly red. So, here’s what I did. Chicago White Sox: Next, I changed the other Sox a bit. Like a lot of folks here, I love the red trim the White Sox used to use. I really like how it pops against the black while being used minimally. Also, the current black/silver is a bit bland and lifeless and IMO is looking a bit 90’s-dated. So I added the red trim on the home and road uni’s (I absolutely HATE the White Sox current roads). The alt is just an updated version of the 70’s look, and nothing they’d ever wear in a day game. But I LOVE that old time look on the font. I actually wanted to use that for the road grays, but I’m far too limited graphically in MS Paint and couldn’t find a version of it in black. Ideally, the road grays wouldn’t have the “Sox” logo. Oh well. Texas Rangers: Next is my local team, the Texas Texases. The Rangers visual identity is an absolute trainwreck that never gets enough attention, mostly because no one cares about this team in any way. When they announced that “Texas” would be on the home and road’s, I came up with this tweak. Basically I got rid of the 3-D dropshadow nonsense and all the unnecessary white on the road uniforms while simplifying the cap logo and striking a balance between the red and blue. There are very few teams that need a two toned cap, but the Rangers are one of them. That’s the only way to clean up the cap logo while retaining red, white and blue. So the “T” is now plain white with no trim whatsoever (when all that crap is removed from the T, it’s actually a nice, symmetrical logo that works well on a cap). Minnesota Twins: I did this before they unveiled their new set for this coming season. Nothing groundbreaking here, just a basic return to the 60’s look that is one of my all time favorites (and as a Braves fan, I despise the Twins). For the road grays I took the old Minnesota script that, frankly, they should have used in the first place. I’d still much rather see something like this as their full time set and not an alt, because the original Twins uni’s were magnificent. As for this alt, just ignore it as I have no idea why I even added it. I made these unis for my fantasy football team. The team is the Apollos. I know since it’s a fantasy team it doesn’t qualify as a uni tweak, but I was pretty happy with how this turned out. I know it’s too late to enter the official Uni Tweaks Contest, but I wanted to send in my deisgn changes for the Pittsburgh Steelers & Pirates. Please forgive the rough look of the changes. I used Snagit. The one uniform nobody seems to want to touch is the Steelers. I will gladly admit that I’ve been a Steelers & Pirates fan since before I was born. I agree that the Steelers don’t “need” to be tweaked, but my curiosity got the better of me. What if the colors were reversed for the home jersey? So I did it. I kept the gold helmet because, even though it was originally used before I was born, I love the look of the (pseudo) gold dome. For the Steelers road jersey I changed the pants from yellow to black and the helmet from black to white (again just out of curiosity). I think they both look pretty good. I know the Steelers will never do any of these (especially the white helmet) but I think they should really look at the all-yellow jersey. Maybe as another alternate? For the Pirates unis, I’ve been drooling over the chance to change these ever since they started wearing the pinstripes on Sundays. With all due respect to the teams that wear pinstripes, I don’t like seeing the Buccos in them. It works for the Yanks, Mets, etc but it just doesn’t seem right for the Pirates. For the Sunday jersey, I took out the pinstripes and replaced them with yellow sleeves. Maybe they could go back to the vest days (of both recent & long ago) seasons. For the Alternate jersey, instead of red, they could’ve gone with a yellow jersey (again with the vest) and yellow pants (like they did back in the glory days of the 70’s). I wish I could say that the “A” standing out on the jersey is a coincidence, but it’s not. It’s exactly what it looks like: a shot at Pirates management for dismantling good teams (with loads of potential) just to save a buck. Thanks for taking the time to check out my tweaks. And thanks for the great blog!! Here We Go Steelers! and Let’s Go Bucs!! Thanks to all the guys for their submissions. Back soon with another tweak show. Guess The Game From The Scoreboard: Today’s scoreboard comes from me. That’s right — I was at this game with Paul. If that’s not enough of a hint, then maybe the scoreboard itself will be the other clue. OK? OK! Ready: Guess The Game From The Scoreboard. Date, location and final score, please, and be sure to link to your answer. And, as always, if you enjoy the game, please send me some new scoreboards! Drop me a line. Thanks! Well, there you have it. 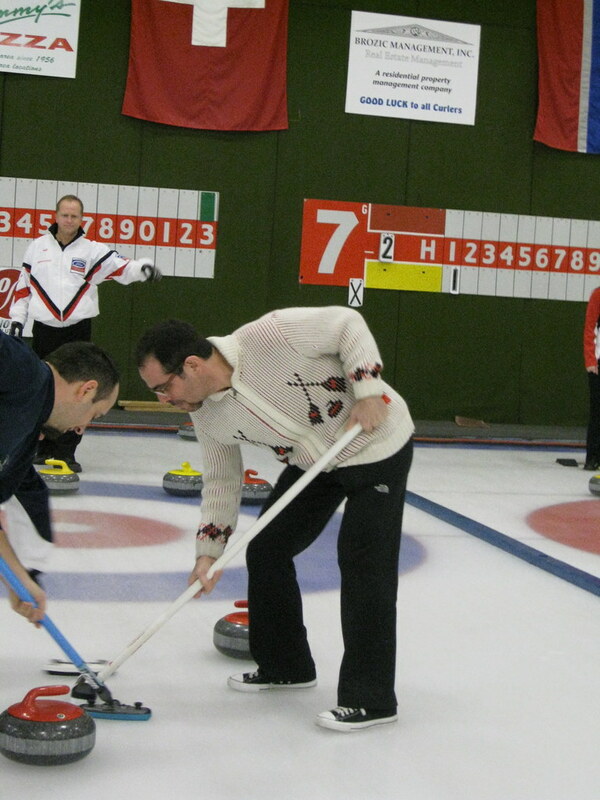 All the traditional sports in one post: golf, sledge, curling & baseball. We won’t be discussing hoop, where I continue to practice bracketfailology. Ouch. But hey, 341st isn’t out of it yet. A late win by Maryland bumped me up from 353rd place! Yessir, Terry Bevington’s Pants, I’m coming to get ya. Wait, that doesn’t sound right. BOO! Who won the tweak contest!?! This thing is dragging out longer than American Idol. I’ll go ahead and be that guy and throw out a big WHO CARES for the golf club thing. 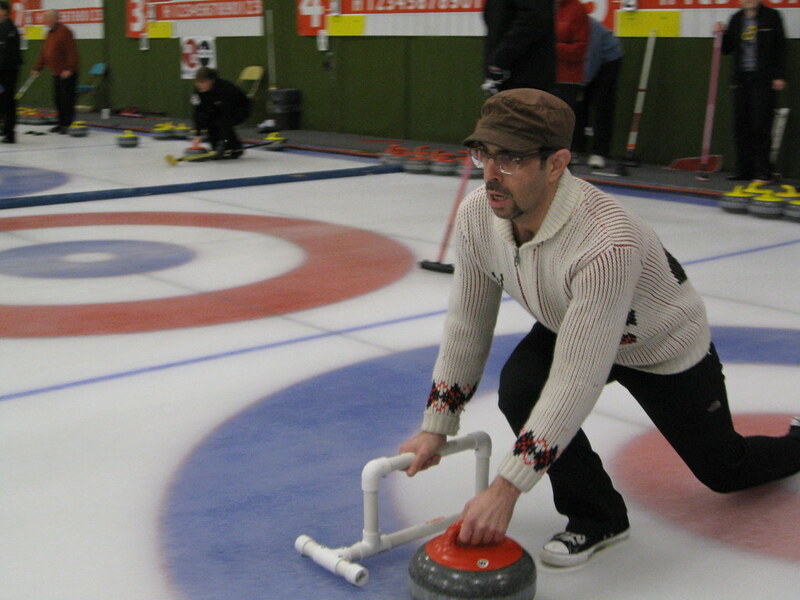 Seems a bit stupid to me anyway – just like equipment in any other sport – if everyone can use it, there’s no real advantage for anyone. But then the closest I’ve ever come to playing golf is Tiger Woods ’10 on a Wii, so what do I know? As a fellow club professional (well, former one anyway), that was a great summary of the whole Karsten/USGA kerfuffle. I was working in the business during the whole legal wrangling and it definitely divided us in the GA section of the PGA. I would like to add some things I did not see in your article. 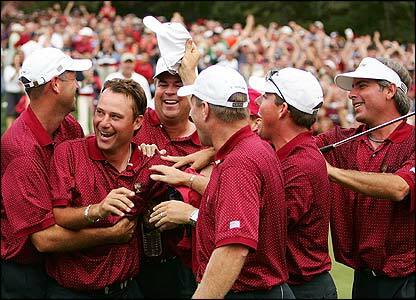 I think it is important to note that ONLY the PGA Tour and Karsten came to a settlement. Augusta National, the R&A , the USGA and the LPGA Tour never signed a formal settlement. So, technically, the clubs could be declared legal to use at the Masters and both Opens. I should also say that Karsten’s recent announcement that they will allow the grandfather clause to be dropped will make the settlement a moot point. With all the heightened awareness of the sport south of the border- if you’re a second or third tier network (i.e. 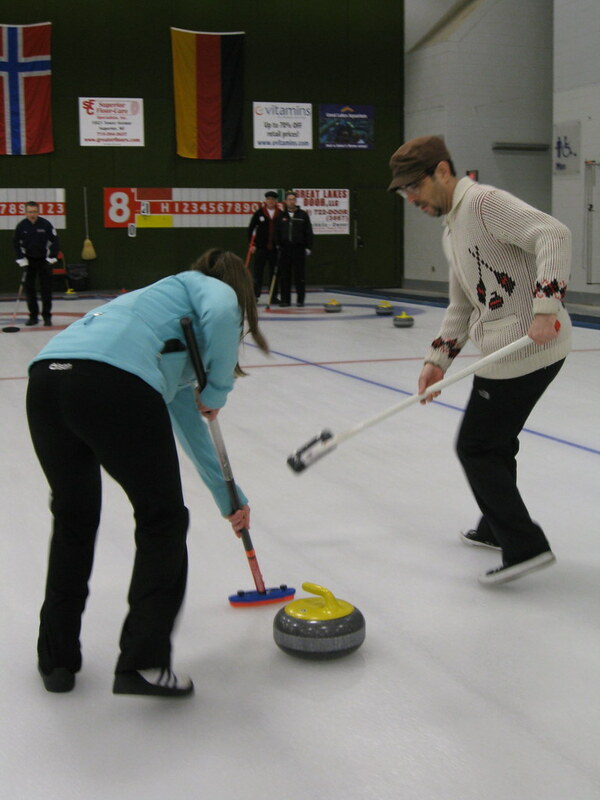 Versus) -would you take a serious look at the way TSN (the Canadian equivalent to ESPN) broadcasts the Canadian national Curling championship (the Brier) – and seriously consider emulating for the US Championship – could it really get any worse ratings than some its programming? Quite liked the New Mexico State uni – probably imagining this – but there colour looked like a deep cherry – as opposed to your standard burgundy. 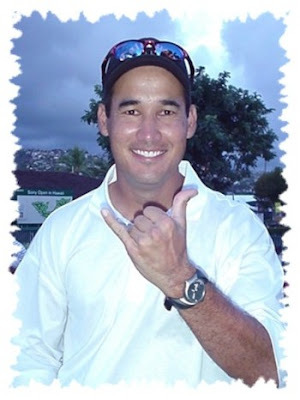 Pflava: Nice job with the baseball tweaks. I think I feel the same way about the Red Sox’ road unis that you do about the White Sox’ road unis. So, if you don’t mind, I added red placket piping as a tweak to your tweak that I feel would improve the overall look of that uni immeasurably. It was either that, or put red trim on the BOSTON wordmark (but not both). It’s just that my artistic skills are so poor, I didn’t even want to attempt that. Yeah, there should also be piping on the sleeves and pants. 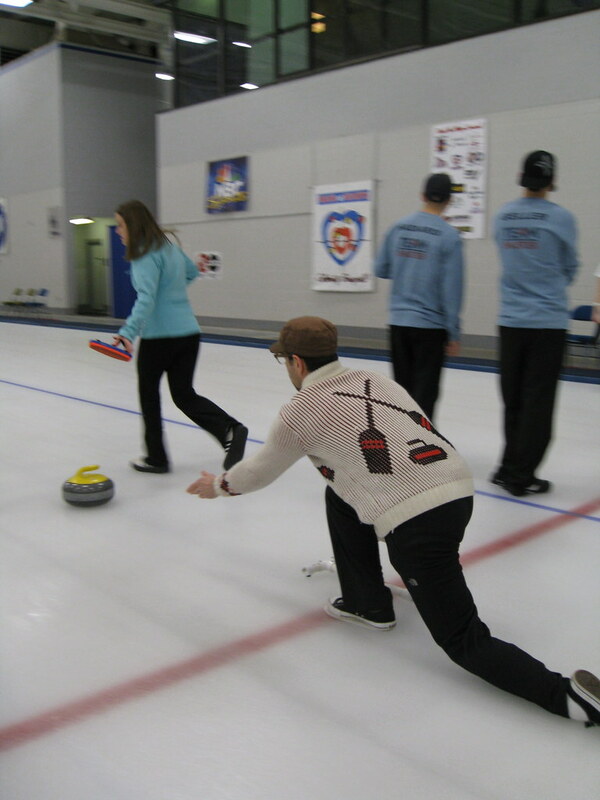 Am I mistaken, or is Paul sporting a pair of Chucks as the semi-official Uni-Watch curling shoe? I envy you; it’s been ages since I’ve been to a midweek day game. I have liked most of the White Sox redesigns with red. However, I still think the hat logo needs a thin red outline around the logo, touching the white, not offset. Baseball hats should represent all team colors. This was a bit of mystery. I was going to ask yesterday, but didn’t get around to it. It’s from a set of photos filed under Alabama Football Team vs Howard dated October 1938. Turns out the Samford University was originally known as Howard College when it was founded. It only took on the name of Samford University in the mid-60s. So here are the 1938 Crimson Tide and their coach Frank Thomas. Agreed. I should have done that to begin with. Just want to say I love Patrick Woody’s design. I think the Chicago third uni (all black) is fantastic, giving it that throw back to the 1910’s, and the Minny Twins third jersey (white vest w/ TC logo) is good as well. And I like what he did w/ the Texas last name lettering…….the real thing is too busy, and I thank you, and Saltalamacchia thanks you as well! I’m calling a 4-0 win for Team USA in sledge hockey. Japan is fast and skilled, but the Americans add a physical edge to their game that the Japanese just can’t match. Looking forward to a great game in less than 2 hours! 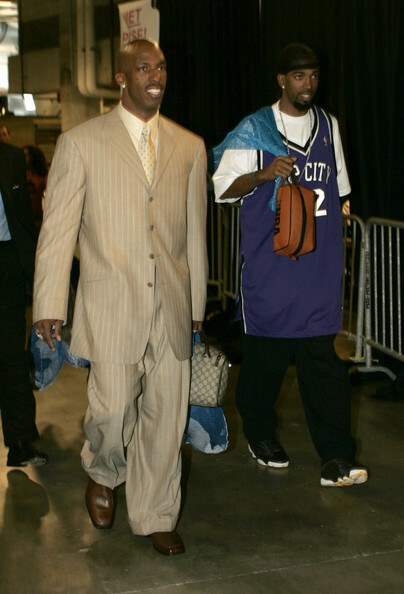 http://www3.pictures.gi.zimbio.com/Detroit+Pistons+v+Miami+Heat+East+Finals+Game+NPWymti6qwml.jpg <—on this picture of richard hamilton and chauncey billups, what jersey is hamilton wearing? it has the nba mark on the right shoulder so i think its an nba jersey,except it has city on it and i don't know what team it is. Lots of repeats, but Russell had a pretty big collection of tobacco cards. Senator Richard Russell’s tobacco era baseball card collection. Lots of repeats, but a pretty good collection. 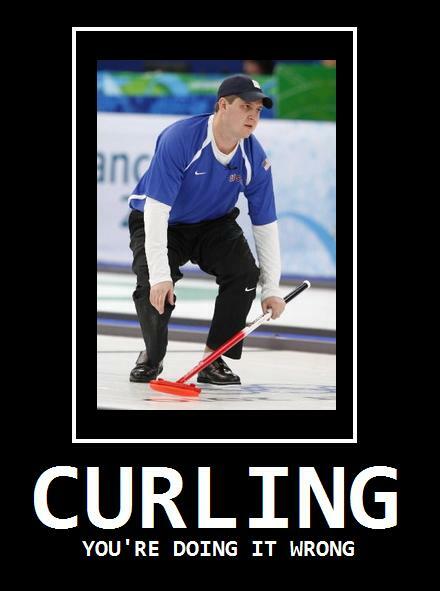 to the post above about someone carrying Canadian curling – ABSOLUTELY!! ESPN and Fox Sports and Versus are filled with POKER. seriously?! watching Nova and St. Mary’s at the Providence venue right now and notice that contrary to what the article said that was posted a few days ago about NCAA tourney sites the carpet around the basketball court is not light blue. it’s black. what’s up with that? Smart move or am I just a sucker? I was buying hockey equipment for my son today. Mostly, I went with used stuff, but I bought a new helmet. That’s not the smart/sucker part — no way was I buying a used helmet. But am I a sucker for going with the $100 option rather than a $40 or $50 model? Keep in mind that I’ve got two more kids who will quite possibly be using this helmet in the next few years when he outgrows it. [quote comment=”382408″]Smart move or am I just a sucker? It depends on what features you got with it, JTH. Most of the more expensive helmets allow for better fits by making the shell customizable with the screws. Better fit = safer players. Congrats to Team USA on their 2-0 gold medal win! Does anybody out there miss the individuality of the floors in the NCAA tournament? The last final 4 that we had where the host arena used their own floor was when Georgetown and Villanova played in the final game in 1985 at Rupp Arena. In the last few years the NCAA has put more and more of their floors in to use. Now this year all of floors look exactly alike. I mean did the play in game really have to have a special floor made for it? I used to really enjoy it when each arena put their own floor and added some touches to make it just right for the tournament. Just wondering if anybody else cares about this. Also I enjoyed everybody’s tweaks for the day. The gold Steelers jerseys over black pants remind me of the uniforms in the movie “All the Right Moves”. 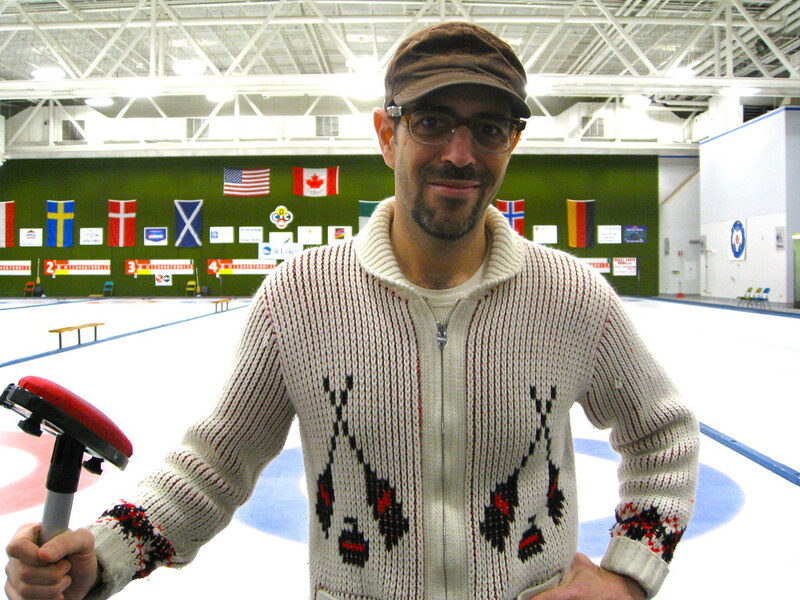 Are those special curling pants that Paul Lukas is wearing? I noticed the little logo on the left leg. Almost looks like a North Face logo. It couldn’t be North Face. Could it? yes, I miss the distinctive “local” floors very much. it was just neat to see different gloors, and you also got to where you could recognize what region you were in by the floor. by Sunday afternoon you know the floors pretty well. now they are all generic and vanilla. blah. I know the NCAA wants to “manage their brand” but c’mon – they are the only game in town (the NIT doesn’t count). do we need NCAA inscribed on everything and everywhere along with their official color scheme. gimme a break. we know we are watching the tournament. so lighten up a little. I might make an exception for the final four games. for several years they GAVE that floor to the champion. I’m thinking some local school might object to that! and finally, I’m so glad there is some place I can go and whine about patches, branding, and what color the carpet is around a basketball court! some day we will be able to edit posts… until then I can only hope that most readers will recognize that “gloors” is the term of preference for those who are truly in touch with floor design. [quote comment=”382409″][quote comment=”382408″]Smart move or am I just a sucker? It’s definitely a nice helmet. Got the adjustable earpieces and everything. So I’ll chalk that up to a “smart move” answer. And it looks like you correctly predicted the shutout. Although hockey guru Teebz has answered, I’ll pipe in as well JTH. Absolutely the right move… if the extra $$ allows for a better fit. My son’s first year has just ended and I simply cannot believe the amount of ill fitting equipment on most of the kids, especially in the helmet department. One kid didn’t even have a chin strap! It’s all about safety with the helmet and not saving dollars so good choice (the savings will come with the other two using it!). FYI, I’m at the Spokane Regional and Maryland will wear yellow tomorrow against green clad Michigan State. The Terps wanted to wear yellow on Friday but they couldn’t because Houston wore red and yellow and red are basically the same to a color blind person, so they wore white. dammit…how could i not have picked northern iowa for the sweet 16? [quote comment=”382418″]dammit…how could i not have picked northern iowa for the sweet 16? My life is now complete. Thank you UNI. pflava sets things straight yet again. Nice work. [quote comment=”382415″][quote comment=”382408″]Smart move or am I just a sucker? OK, it’s unanimous. I’m going to put on my “#1 DAD” shirt pronto. Izzy Mandelbaum better not be dropping by unannounced. [quote comment=”382415″]One kid didn’t even have a chin strap! I don’t like the homogeneous courts one bit. The distinctive courts were great and you still knew it was the NCAA tournament since the NCAA logo was plastered somewhere on the court. I view these identical courts much the same way I viewed the cookie cutter baseball stadiums of the ’70s: it takes something away from the fun of the sport. [quote comment=”382421″][quote comment=”382415″][quote comment=”382408″]Smart move or am I just a sucker? i think uniwatch can appreciate the Onion..